had high hopes for this, from hearing others who liked this. I bought the blackest black, which wasn't as pigmented as it sounds, you would need to build on the color. 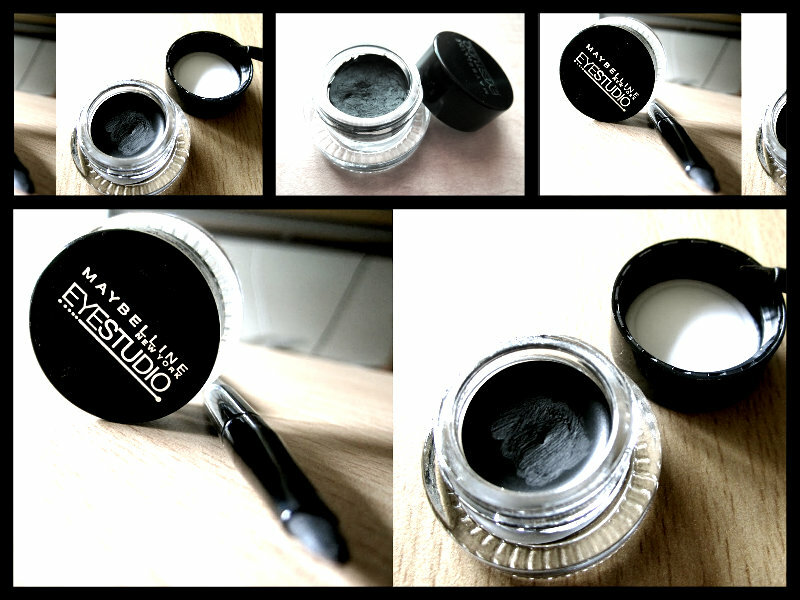 It is a soft gel-like liner allowing for a very smooth, easy application. Because of this, it shouldn't dry out as easy as some of the other gel liners out on the market. Since it is soft in texture, it allows me time to work with it more, before it dries, however, the softness of it, also means that it will transfer or move, if you have oily lids, and/or under heat . It is definitely not 24 hrs of wear as advertised. The problem was that it never dried. I was touching it every now and then realizing that it hadn't dried. I waited for 30 minutes and it still wasn't dried. I left it on and forgot to check on it until after few hours I looked at the mirror and scared myself. There was another line on my upper lid. The whole line had transfered there as well. It was a complete mess. I used a primer, so lack of primer wasn't the reason this liner didn't work for me. I tried it again later and same thing happened. I don't know how long it takes to dry, but I don't have time to wait for an eyeliner to dry for an hour or more. I noticed some transfer (movement again). * Easy to apply because it is soft/smooth. * Decent brush, flat tapered head, made to draw a wider line than I would like but can use the tip to draw a finer line. * It doesn't wear as long as it says, just too soft of a product, esp if you have oily lids, in a heated room, or under any condition that will soften the gel. * Never dried for me. * Fades throughout the day. Wow﻿ this is interesting! Thanks for sharing! !